Representing the Northside of Atlanta by way of Long Island, NY. 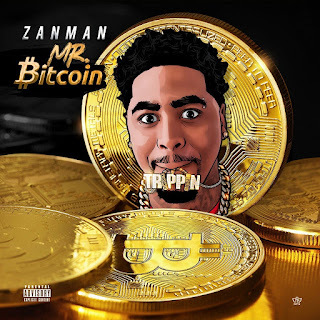 ZanMan is a rising artist with a knack for crafting undeniable hooks thanks to music influences from the likes of Future, Max B, T.I., and Wiz Khalifa. The young talent has already tasted success after garnering over 1 million views on Worldstar with his ladies anthem “Bad Ones,” which lives on his DJ X-Rated-hosted mixtape 7 Nights. Back for more, ZanMan returns with a new cryptocurrency-influenced single “Mr. Bitcoin,” along with the official music video. Directed by Dontell Antonio, the futuristic visual pairs perfectly with Zan’s latest effort as it follows him while he capitalizes off Bitcoin in every aspect of his daily life.